But since this is not a gaming blog..but a cooking blog…i will be posting three posts at once…so bear with me!!! I’ve also thought about copyrights…and it would not be right for me to put in ppl’s recipe without acknowledging where the recipes came from!! Masukkan terigu, vanili dan baking powder dalam adonan. Kocok lagi selama 1 menit. Masukkan margarin cair, aduk sampai rata. At the end of the recipe…here’s what i thought…something in that recipe is too strong…too much…and although it tasted alright..that 1 thing just overtook the overall flavour of it. I’m not sure..if it’s because of the ovalet…because i have never cooked with ovalet, so it might have been that. I would though…try a different recipe..but don’t worry readers..i’ll do that for you! 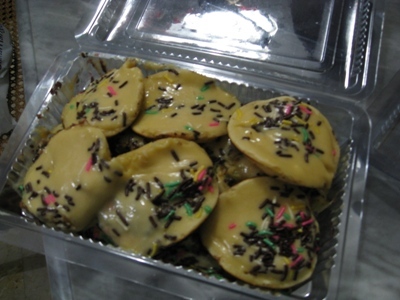 😀 my obsession with kue cubit ends here…I have succesfully made kue cubit so i don’t have to fly to jkt to get some…it was awesome!! I truly believe i can make anything!! !